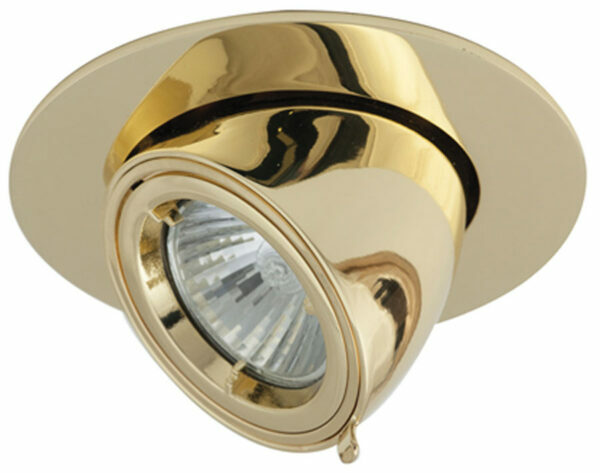 You are viewing a low voltage polished brass finish adjustable wall washer downlight with a cast aluminium fascia and front locking ring for easy lamp replacement. 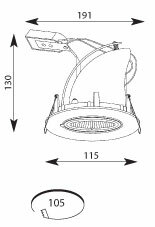 A brand new design that allows 65° adjustment so you can light up your wall features or any other area such as a kitchen worktop. Supplied without lamp. A 60va transformer is required to power these down lights.